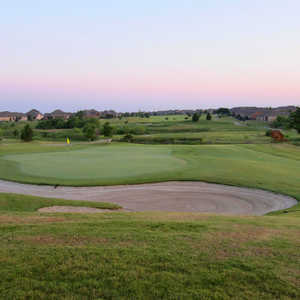 FRISCO, Texas -- If you're an average golfer -- or even above or below average -- and you have a chance to play a golf course built in a retirement community like Frisco Lakes, go play it. It's almost always guaranteed fun. The par-5 ninth at Frisco Lakes winds up at the clubhouse with plenty of water in front and left of the green. Frisco Lakes Golf Club is a part of the Del Webb Frisco Lakes Community, just north of Dallas. The front nine of the course is interwoven with the community itself while the back nine sprawls across open countryside. Why? Because they don't build golf courses for retirees that are overly difficult. That much is obvious. Fortunately, they also don't build them overly short. So if you've got a little game, you can still get find challenge, but you're not going to get beat up. That's certainly the case with Frisco Lakes Golf Club, located within the Del Webb Community of Frisco Lakes, just north of Dallas. This 7,099-yard Gary Stephenson design will play plenty tough from the tips -- especially with water on half the holes -- but the fairways are not only wide, but they slope toward the middle. You really have to spray it to get in trouble off the tee. "It's a very fair golf course," General Manager Josh Morgan said. "But at the same time, there is trouble out there." No doubt about that. Both nines -- which were recently flipped for pace of play -- feature par 5s that end with greens pretty much surrounded by water. There's an island-green par 3, the eighth, and the seventh has a peninsula green. But if we're making this sound like Frisco Lakes has a bunch of forced carries, that's not entirely accurate. The majority of the course can be navigated around water, and even the island green is just 106 yards from the blue tees. The other notion about golf courses that are set in retirement communities is that they're private. That, too, is not the case. In fact, Frisco Lakes encourages outside play, especially on the weekend. "We want to get the word out," Morgan said. "Friday, Saturday, Sunday -- that's when I want the public to come in." 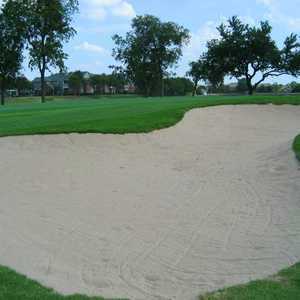 The course has only been around four and a half years, and the club's spacious clubhouse just opened in 2010. Earlier this year, businessman Young Han bought the course from Pulte Homes and almost immediately started making improvements. The biggest project is continuing this winter as all 113 bunkers are being rebuilt and should be ready by spring. "The benefits of having private ownership is you're not working for a management company," said Morgan, who was hired by Han from nearby Bridlewood Golf Club. "You don't have to go through five or six people to get something done. For example, on the bunker renovations, I went right down the street to his offices and showed him that this is what we need to do and showed him the plan. And it's either yes or no." Right now, Frisco Lakes Golf Club is still a tale of two nines. The front nine goes through the development, but there are 1,400 homes that are planned for the back nine over the next few years. For now, it's the nine that's still part of nature with plenty of mesquite trees and wildlife. 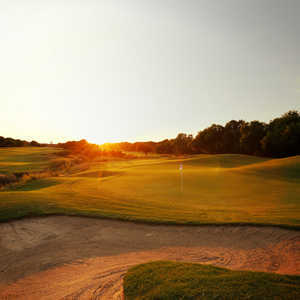 If you're looking for a fun time, look no further than Frisco Lakes Golf Club. Excellent conditions, including terrific MiniVerde greens, combined with the fact that you won't be looking for many balls, make for a pleasant and fairly quick round. The club also has terrific practice facilities, including a large grass range and giant short-game area. Lessons are available from the staff pros, and clubhouse dining is good enough that you don't have to be a golfer to stop by and grab a beverage or a bite to eat.